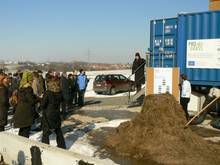 On a cold but beautiful 9th of March 2010 our PROGRASS denonstration plant was inaugurated in the framework of a European conference with more than 60 participants. 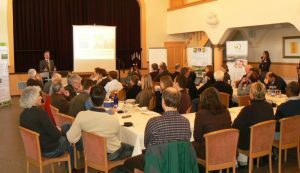 After the introduction in the town of Lauterbach (keynotes, introductions and informal talks) the particopants were transferred to the Sonnenhof in Frischborn, the modern farm of Fred Möller which is the “home” of the plant for the next 4 months until June 2010. 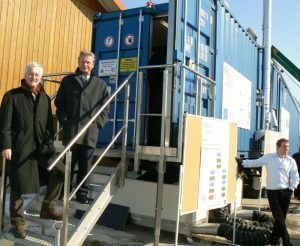 There the plant was officially inaugurated and started its first demonstration run. The concept works – participants from the region, and experts from regional and state ministries and research institutes were impressed by PROGRASS. Regular demonstrations and introductory trainings will be carried out at the spot.